Paul Harris, editor and publisher of Colombia Gold Letter, knows Colombia well and realizes that the country requires more investor patience than many are willing to give. Harris says that the next 12–24 months will largely determine Colombia's long-term perception as a mining jurisdiction, but is quick to add that some current stories are already panning out. In this interview with The Gold Report, Harris discusses some companies getting the best out of Colombia and others that hope to. The Gold Report: You recently attended the Precious Metals Summit and Denver Gold Forum in Colorado. What sense did you get of investor sentiment toward Colombia at those events? Paul Harris: It was a mixed bag. The recent announcement by Continental Gold Inc. (CNL:TSX; CGOOF:OTCQX) that it had to change its environmental licensing strategy from the regional to the national level basically signaled "country risk" to a lot of investors. The question remains: Can you get projects permitted there? There are many positives in Colombia. Red Eagle Mining Corp. (RD:TSX.V) got its San Ramon gold project permitted and the company has since broken ground on construction. Cordoba Minerals Corp. (CDB:TSX.V) is also progressing with its San Matias copper-gold exploration project in Cordoba Province. But it is a mixed bag in general. TGR: What's your sense of the current government attitude toward mining investment? Are its actions at odds with public statements? PH: Over the last 10 years, the government's attitude toward mining investment has been positive inasmuch as the message has always been "We want mining investment." The government recognizes that mining can help advance and develop the country. The issue is that there's a big gap between what the government says it wants and the practical implementation of those desires. "Red Eagle Mining Corp. is pretty much the first company to go through Colombia's permitting process in modern times." Middle-level government and local government haven't been able to create a system that both attracts mining investment and allows the necessary activity to happen, such as getting regulations and legislation working so that mineral exploration and development can progress smoothly in a reasonable timeframe. That has been the Achilles heel of the mining sector in Colombia. A company enters an administrative process, and there's no sense of when it's going to get out on the other side, particularly regarding environmental permits. TGR: Are there tangible signs that mining investment is welcome? PH: Colombia was successful in attracting a lot of mining investment. About 30 years ago several big nickel and coal mines were built and those have done well. The government has since gone out of its way to promote Colombia at different global conferences to attract exploration companies. Unfortunately, the inability of companies to progress because of administrative issues with the government has hampered things. The government will soon tender a round of exploration blocks, so, yes, it very much wants to attract mining investment. It just needs to get its own house in order enough to enable the mining sector to do what it does best. TGR: Colombian President Juan Manuel Santos said recently that his country's financial outlook for 2016 is grim given the global slide in crude oil prices, which contribute heavily to GDP. Is that likely to change the Santos government's position on mining permits, especially environmental permits? PH: The government has tried to address the problem by creating a concept called Projects of National Interest. If a company's project is deemed to be of national interest, the company gets access to a multi-ministerial committee that supposedly exists to collectively overcome administrative and political hurdles so that projects can advance. That is what Continental Gold is tapping into now. Its Buriticá project is a project of national interest, and it chose to go to that central government level where it can access the multi-ministerial committee to get its environmental license approved and push things forward. TGR: Are there some key mileposts in the next 12–18 months for investors with an interest in Colombia? PH: Absolutely. Red Eagle should have its San Ramon mine in production within that timeframe. That will be a key step to show that it is possible to explore, permit, develop and bring a gold mine into production in Colombia. And in the next 6 to 12 months, hopefully sooner, Continental Gold should get its environmental permit for Buriticá. The company should be able to bring that into production some time in 2017–2018, assuming it gets the permit. TGR: Why did Red Eagle get its environmental permit while Continental Gold did not? PH: The two projects are very different beasts. Red Eagle's San Ramon is a much more modest project than Continental's Buriticá. Also, Red Eagle had the advantage that the regional environmental authority, Corantioquia, had an office in the town where its project is based. Buriticá doesn't have that. For Red Eagle, it meant that it could have a much closer working relationship with the environmental authority; it's much easier for officials to see things progress. Continental didn't have that. Continental, it would be fair to say, has had some issues with the governor of Antioquia, which didn't help things. The regional governor, Sergio Fajardo, is not a fan of mining. That is a significant stumbling block. TGR: Would an environmental permit at Buriticá be sufficient to move the needle on investor sentiment nationwide? PH: It would get a lot of mileage. Buriticá is a high-profile project. The mine would produce 200,000–300,000 ounces gold a year. It would be a big flag to put into the sand to say, "Yes, it is possible to permit big, modern gold mines in Colombia." TGR: Red Eagle Mining has broken ground on its fully permitted and financed San Ramon gold mine, which is scheduled to begin production in mid-2016. What are some key reasons Red Eagle received its approvals? PH: As I mentioned, it has a more modest project, so its environmental and social footprints are smaller, which makes it more manageable and perhaps easier for the people in the government agencies to understand what is going on. Red Eagle has a good group of people locally and good management, which is essential. Management did a great job engaging with the community and the different stakeholders. It has gone out of its way to make stakeholders understand the implications of San Ramon and its essential benefits. At the end of the day, it should be a relatively low-impact underground mine. It's pretty much the first company to go through Colombia's permitting process in modern times. TGR: Red Eagle is in a bidding war with Batero Gold Corp. (BAT:TSX.V) for CB Gold Inc. (CBJ:TSX.V). Red Eagle now has more than 50% of CB Gold's outstanding shares and is calling for a shareholder meeting to change the CB board. Why is CB Gold garnering such interest? PH: CB Gold has the Vetas project in Santander, which is a narrow-vein, high-grade gold deposit with a modest resource that could almost certainly be expanded. Vetas is in an area that has been mined for centuries. So there's a mining culture there. Red Eagle and Batero both believe that they could establish a modern, underground mining operation with the potential to grow and be very profitable. And CB Gold is out of money, so it is a good merger and acquisition (M&A) target. Red Eagle is already building an underground mine and the people behind Batero have a lot of experience building and operating underground gold mines in Peru. So it's a good target for both companies, and it's in an area of Colombia where a mine is likely to get permitted. While there has been a lot of exploration activity in Colombia, not many projects have advanced to the resource definition stage. Red Eagle's San Ramon is one; Continental's Buriticá is another. Both CB Gold and Galway Gold Inc. (GLW:TSX.V) have projects with defined resources in the Vetas District, which is really a key area to look at. There are few M&A targets like those in Colombia. TGR: Tell us more about Galway Gold. PH: The Vetas project was spun out of Galway Resources Ltd. (GWY:TSX.V) when Galway sold its California project to the AUX Group. That became the key asset in Galway Gold. TGR: What are some other companies that you wrote about in the most recent edition of Colombia Gold Letter? PH: Atico Mining Corp. (ATY:TSX.V; ATCMF:OTCBB) is looking very good. It has been operating the El Roble copper-gold mine for well over a year. The company has enhanced the mill to expand production. It has also been doing a lot of exploration. Atico now thinks it could undertake an expansion project that could produce more copper and gold. It is going very well. TGR: What did you make of the latest resource on El Roble? PH: Atico keeps expanding and increasing the resource and that's just the resource around the current mine. The company has yet to start drilling regional targets to find other resource mantles or lenses that it thinks are on the property. I think there is a lot of upside with El Roble. TGR: Tell us about some other companies you're following. PH: Cordoba Minerals has a very interesting partner in High Power Exploration Inc., a private exploration company indirectly controlled by Robert Friedland. Through that partnership, Cordoba has access to the Typhoon geophysical system, which should soon arrive in Colombia. Cordoba expects to start using that technology in the next month or so to start generating field targets. The Typhoon system has such a high power that it can identify targets up to two kilometers below surface. In particular, Cordoba is looking for bornite and chalcopyrite in its project area. The company expects to start drilling again early next year on any targets that the system generates. TGR: In the recent issue of Colombia Gold Letter you noted that Cordoba hit 101 meters of 1% copper and 0.65 gram per ton gold on the Montiel East target. What are your thoughts on that result? PH: It's a great result. The company has generated a lot of interest in the project from major mining houses. High Power Exploration is a good partner. Robert Friedland has a track record of finding large copper deposits and High Power is funding exploration up to the feasibility study stage. Cordoba essentially gets a free ride until the project reaches a much more advanced stage. TGR: Are there companies outside Colombia that you're following? PH: Yes. Because the number of companies conducting mineral exploration in Colombia has decreased, Colombia Gold Letter has started to take more of a regional focus, looking at Central America and neighboring countries, such as Ecuador, and in the Caribbean, as well. There is some good activity going on out there. GoldQuest Mining Corp. (GQC:TSX.V) has a good resource in the Dominican Republic. It seems to have capable people running the company who have experience building mines in the Dominican Republic. The company is currently doing a financing. In Nicaragua, there's a similar situation with Condor Gold Plc (CNR:LSE), which has a high-grade gold resource at La India. It is currently looking to do some kind of corporate transaction to really get the value from the deposit it has there. TGR: GoldQuest Chairman Bill Fisher attempted to reposition his company with a revised preliminary economic assessment (PEA) that includes much smaller capital costs. Did he succeed? PH: With the revised PEA, what Fisher has done was to present various possible alternatives with some numbers attached to each so that potential partners, buyers or investors could more easily see the potential of the Romero project. Time will tell if he will be successful in this or not. TGR: Condor is about to apply for its Environmental Impact Assessment permit. Does the company have the management team to move this project through the next phases of development? PH: Having spoken to Chairman and CEO Mark Child at the Precious Metals Summit, I believe his aim is really to interest another party in the project to take over and take it forward, which is why he engaged Cormark Securities to undertake a strategic review for the La India project in Nicaragua. La India contains 2.3 million ounces grading 4 grams per tonne gold and Child sees the company as being worth more than its approximate $14 per ounce valuation, and so he would prefer to do a transaction as a way to drive more value from the project. TGR: What kind of shorthand could you give to investors looking at Colombia? PH: There seems to be a dichotomy between what the Street wants and what the mining exploration sector is. Mining and exploration investment is long-term investment, but the Street typically wants returns in the short to medium term. And what has happened in Colombia illustrates that gap. 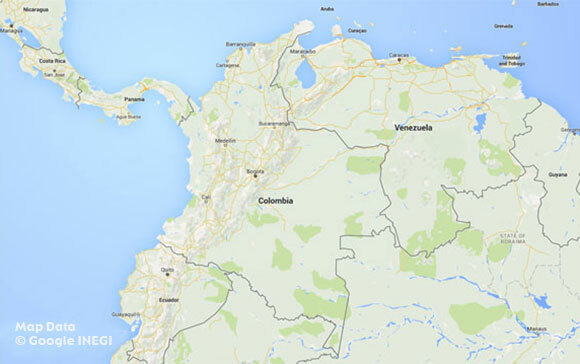 Colombia came back onto the map 5 to 10 years ago as the new gold frontier. People were expecting returns and exploration results within two to three years, which really doesn't happen. Colombia is a long-term investment. The gold is there. The geology is there. Unfortunately, the fluidity of government action is not there yet. So any investment in any exploration and mining project in Colombia is going to take time to mature because it's not the most agile government in the world. TGR: Thank you for you insights, Paul. Paul Harris is a mining information expert with over 12 years of experience as an analyst, journalist and researcher about the mining industry, of which he has spent nine years in Latin America including four years in Colombia and five in Chile. Harris has written for leading industry publications and business newspapers around the world and produced reports for leading consultancy firms prior to starting the Colombia Gold Letter. 2) The following companies mentioned in the interview are sponsors of Streetwise Reports: Continental Gold Inc. and Red Eagle Mining Corp. The companies mentioned in this interview were not involved in any aspect of the interview preparation or post-interview editing so the expert could speak independently about the sector. Streetwise Reports does not accept stock in exchange for its services. 3) Paul Harris: I own, or my family owns, shares of the following companies mentioned in this interview: Continental Gold, Inc. and Red Eagle Mining Corp. I personally am, or my family is, paid by the following companies mentioned in this interview: None. My company has a financial relationship with the following companies mentioned in this interview: None. I was not paid by Streetwise Reports for participating in this interview. Comments and opinions expressed are my own comments and opinions. I determined and had final say over which companies would be included in the interview based on my research, understanding of the sector and interview theme. I had the opportunity to review the interview for accuracy as of the date of the interview and am responsible for the content of the interview.